[description] => Parul Yadav, besides playing the lead role in the Kannada remake, is also co-producing along with Mediente Films. That Bollywood hit ‘Queen’ is being remade in all the four South Indian languages is something we all know. 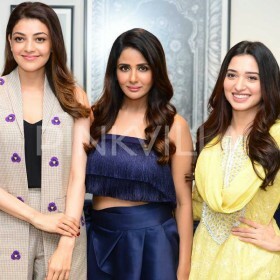 The remakes are being produced by Manu Kumaran under the banner Mediente Films and stars Parul Yadav, Tamannaah Bhatia, Manjima Mohan and Kajal Aggarwal in Kannada, Telugu, Malayalam and Tamil respectively. Parul Yadav is also the co-producer of the film besides playing the lead role in it. The unit of the film recently wrapped up a schedule in France which had all the four lead actresses as part of it. 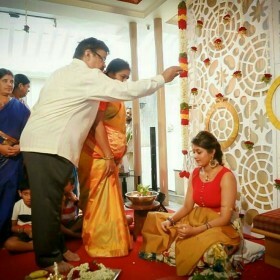 The Kannada and Tamil versions of the remake are being directed by Ramesh Arvind while the Telugu one is being directed by Neelakanta. We got access to some exclusive visuals from behind the scenes of ‘Butterfly’ and looks like the cast and crew seem to have had great fun while canning the scenes. Directed by seasoned actor and filmmaker Ramesh Arvind, this will be one of the most exciting projects in Kannada film industry in the coming season. Parul Yadav, besides playing the lead role in the Kannada remake, is also co-producing along with Mediente Films. Parul seems quite kicked about donning multiple roles for the film and says that she was nervous initially but things fell in place gradually. "In fact, during the initial days of the shoot, I faced some difficulties portraying the role, as it is completely opposite to what I am in real life — a modern girl who is born and brought up in Mumbai. Whereas portraying a girl from a small town like Gokarna, who has never been to a city and never flown abroad was quite a challenge to me. Eventually, workshops followed, and I started living in the character, and enjoying it. Hope, I have pulled it off," Parul had said in a recent interview. Talking about shooting in extreme weather in France, Parul says it was a fun experience working in those kinds of climatic conditions. "The best past was shooting simultaneously in two different remote locations in France. We actresses would bump into each other often, and it was fun. Insofar as the remake is concerned, Ramesh Aravind Sir is impressive as ever with some changes owing to the nativity. The core subject remains the same. The director has retained flavour, and though it is a remake, it’s made with a new freshness," Parul added further. Parul started shooting for the remake of Queen, Butterfly, back in June this year and interestingly the shooting kicked off on the birthday of the Sandalwood actress. "It’s the most overwhelming feeling that I get to start this very important film of my career on my birthday. It has been a wonderful journey so far, but I am really looking forward to this new chapter that will unfold in my life," Parul had said. 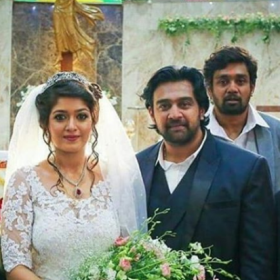 Bollywood actress Elli Evrram will be seen reprising Lisa Haydon’s role in the Kannada remake and was also part of the cast which shot in France recently. Speaking about bagging this role, Elli had said, "I am in love with South Indian languages. They sound very nice. Kannada, in particular, has a very exotic ring to it. While it is Indian, the way it sounds, it feels European. What was encouraging was the fact that the team complimented my pronunciation of Kannada and said that I sound like just another Bengaluru girl." The actress is quite excited about venturing into South films and says, "I have followed South Indian cinema. Like everyone else, Baahubali is my current favourite film and I am in awe of it. I am also looking forward to Rajinikanth’s new film Kaala. In Kannada, I know Puneeth Rajkumar is a big star and he dances extremely well. I also am fond of Allu Arjun and Mahesh Babu." The role being essayed by Elli Avrram was initially supposed to be played by Amy Jackson however the actress opted out of the project. Eli Avrram and TV presenter/host Shibani Dandekar were brought on-board as replacement of Amy Jackson in the remakes. Parul Yadav, besides playing the lead role in the Kannada remake, is also co-producing along with Mediente Films. Directed by seasoned actor and filmmaker Ramesh Arvind, this will be one of the most exciting projects in Kannada film industry in the coming season. Parul Yadav, besides playing the lead role in the Kannada remake, is also co-producing along with Mediente Films. Parul seems quite kicked about donning multiple roles for the film and says that she was nervous initially but things fell in place gradually. “In fact, during the initial days of the shoot, I faced some difficulties portraying the role, as it is completely opposite to what I am in real life — a modern girl who is born and brought up in Mumbai. Whereas portraying a girl from a small town like Gokarna, who has never been to a city and never flown abroad was quite a challenge to me. Eventually, workshops followed, and I started living in the character, and enjoying it. Hope, I have pulled it off,” Parul had said in a recent interview. Talking about shooting in extreme weather in France, Parul says it was a fun experience working in those kinds of climatic conditions. “The best past was shooting simultaneously in two different remote locations in France. We actresses would bump into each other often, and it was fun. Insofar as the remake is concerned, Ramesh Aravind Sir is impressive as ever with some changes owing to the nativity. The core subject remains the same. The director has retained flavour, and though it is a remake, it’s made with a new freshness,” Parul added further. Parul started shooting for the remake of Queen, Butterfly, back in June this year and interestingly the shooting kicked off on the birthday of the Sandalwood actress. “It’s the most overwhelming feeling that I get to start this very important film of my career on my birthday. It has been a wonderful journey so far, but I am really looking forward to this new chapter that will unfold in my life,” Parul had said.